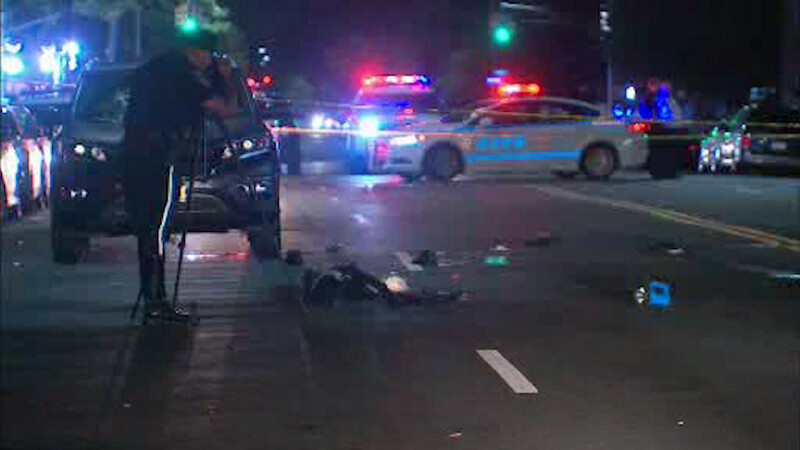 SHEEPSHEAD BAY, Brooklyn (WABC) -- Police are searching for the driver in a fatal hit-and-run in Sheepshead Bay, Brooklyn. The driver struck and killed a 28-year-old man and then took off. The man was trying to cross Avenue V when the blue Toyota SUV or minivan hit him and didn't stop. The victim was rushed to the hospital where he was pronounced dead.